A Thoothukudi court on Tuesday granted bail to 28-year-old student Lois Sofia who was jailed for shouting “fascist BJP government down, down” on board an aircraft. 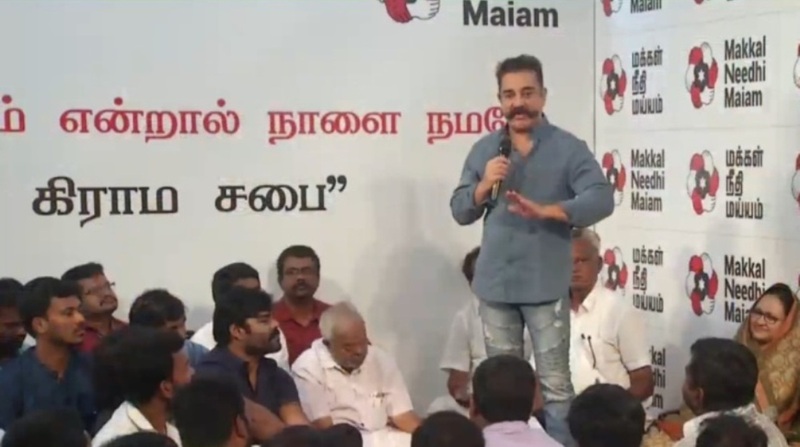 Makkal Needhi Maiam (MNM) chief Kamal Haasan extended his support to 28-year-old student Lois Sofia who was jailed by Thoothukudi police for shouting “fascist BJP government down, down” on board a flight in the presence of Tamil Nadu BJP president Tamilisai Soundararajan. In a tweet written in Tamil, the actor-politician said that if raising slogans is a crime then every politician, including himself, is a criminal. “If slogans are a crime then politicians should be put behind bars for raising slogans (against each other) in public places. We must get Sofia out of jail for the sake of freedom (of expression),” he said. Haasan is not the only politician to come out in support of the student. DMK president MK Stalin, a known critic of the Bharatiya Janata Party (BJP), dared the police to arrest him by stating that he will repeat what Sofia said. “How many lakhs of people will the police arrest if they were to arrest everyone who criticise the BJP government? I will also repeat it. ‘BJP fascist government down, down’,” he wrote on Twitter. Condemning the arrest of the student, Amma Makkal Munnetra Kazhgam (AMMK) founder TTV Dhinakaran accused Soundararajan of handling of the issue in an ungraceful and immature way. But Soundararajan took to Twitter to express surprise over the reactions of the Tamil Nadu leaders. “Surprised to see reactions of few TN leaders insupport of her unruly behavior inside aircraft claiming it as Democratic right.Will they accept a similar situation happens for them during their next air journey inside plane will they or their cadres keep quiet as Democratic right?,” she tweeted. Surprised to see reactions of few TN leaders insupport of her unruly behavior inside aircraft claiming it as Democratic right.Will they accept a similar situation happens for them during their next air journey inside plane will they or their cadres keep quiet as Democratic right? Meanwhile, a Thoothukudi court on Tuesday granted bail Sofia, who was taken into custody after Soundararajan filed a complaint with the airport police. Sofia, a student from the University of Montreal in Canada, was charged under IPC Sections 290 (Punishment for public nuisance in cases not otherwise provided for), 505 (Statements Conducing to Public Mischief) as well as Section 75(1) of the Tamil Nadu City Police Act, 1888. She was accompanied by her parents who had joined her at the Chennai airport to travel to Tuticorin. The BJP leader and the student engaged in a quarrel at the airport’s arrival lounge in Tuticorin which was caught on a camera. Tamilisai is heard telling the student at the lounge that a flight was no place to raise slogans. “It (inside of a flight) is not a public forum….how can you expect me to keep mum when she shouts ‘down with BJP’s fascist government’ looking at me? Is it freedom of expression,” she asks.